The ERVD™ (Extended Range Variable Diameter) Step Block is the second addition to the ERV product line. Jointly designed by PH Tool and Holloway NDT, it is intended for use as a versatile curved step block for thickness testing of pipe. 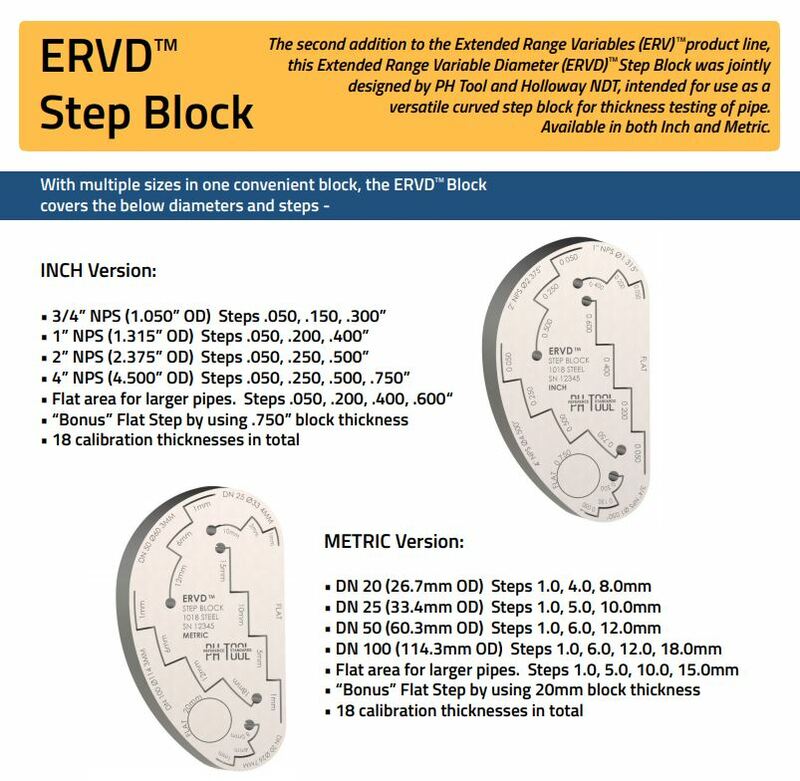 The ERVD™ Step Block is available in both inch and metric measurements. Please fill out the form to the right to download your free copy of this fact sheet.